I was never a big fan of winter camping. For me, camping under those harshest of conditions was always something just for mountain climbers setting up their base camp at the foot of Mount Everest or for polar expeditions. But I love camping, which meant winter for me was always this long emptiness until the temperatures became mild enough in spring to allow me to chase my dreams again. 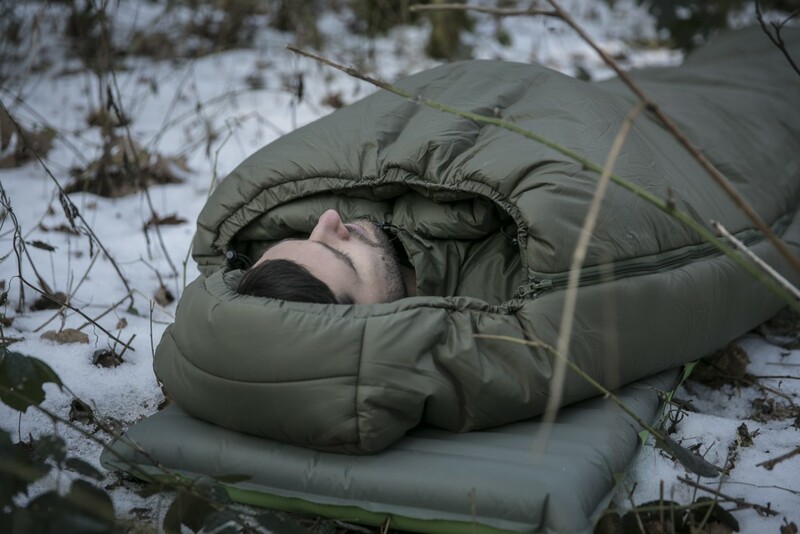 So I started looking into what equipment I would need to be able to spend a comfortable night outdoors in negative temperatures, and came upon a whole other side to this outdoor activity. 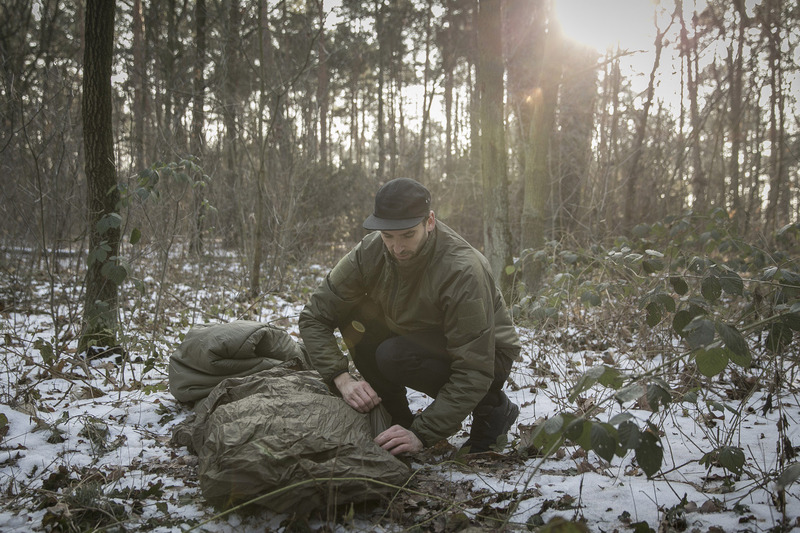 It starts with the right tent, then an appropriate sleeping mat, and, perhaps the most important part, the sleeping bag, the piece of equipment that most directly protects you from the icy cold. Of course there are countless brands that make warm down sleeping bags, but very few that specialise in the synthetic insulation that promises a comfortable night’s sleep even below the freezing point. Even though down is still the best at storing warmth, in many other aspects it is inferior to synthetic fibres. The British company Snugpak is one such company, specialising in sleeping bags that use synthetic insulation, and that’s no accident. The story of Snugpak goes all the way back to the 1970s. It all started with the production of insulation for clothing. 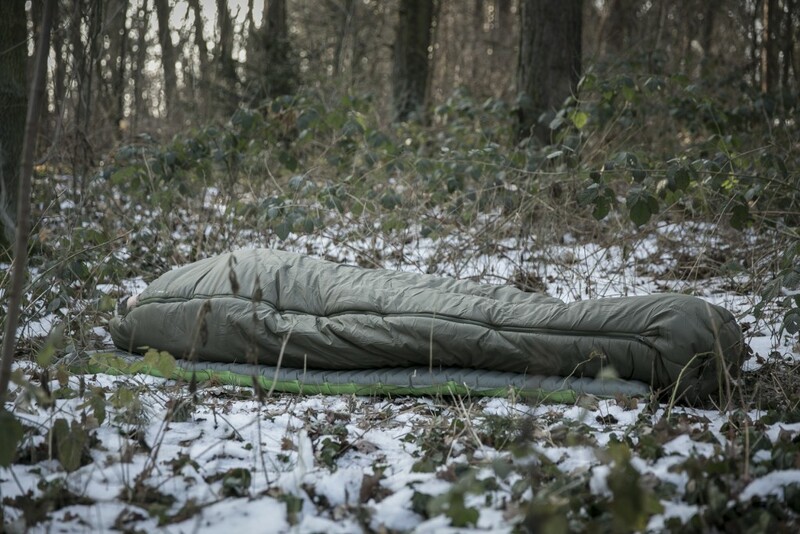 Then, in the 1980s, in response to increasing demand, the company started making sleeping bags. 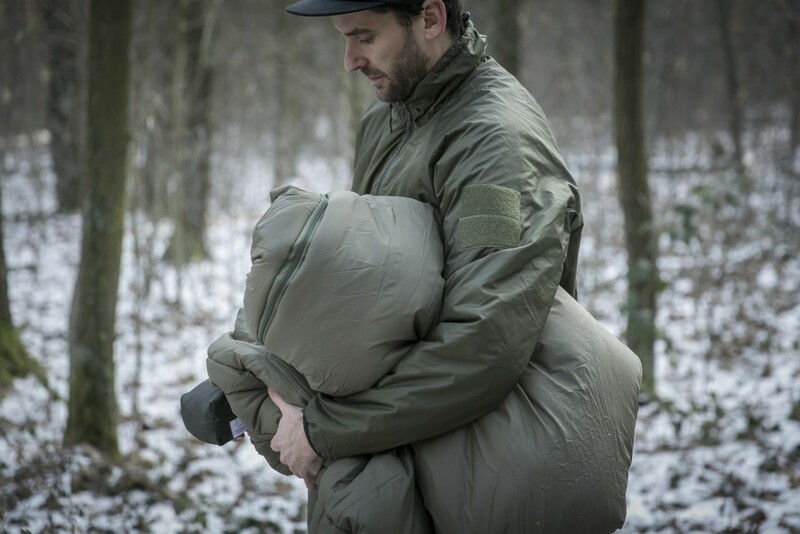 Today, Snugpak enriches the outdoor market with their range of clothing, sleeping bags, backpacks, tents and much more. The Softie 15 Discovery from Snugpak is a good example of a sleeping bag that easily matches the performance of its feathered competitors. With a comfort level of down to -15°C, the Softie covers most of the scenarios that you’re likely to come across. 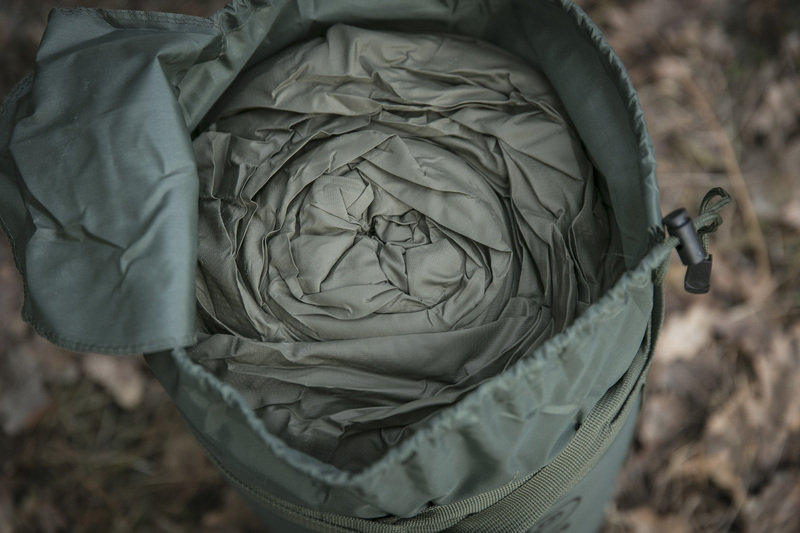 The outer fabric, Paratex Steelplate, is windproof, water-repellent, highly breathable and has an extra tough weave. And on top of that, it feels very soft and comfortable. 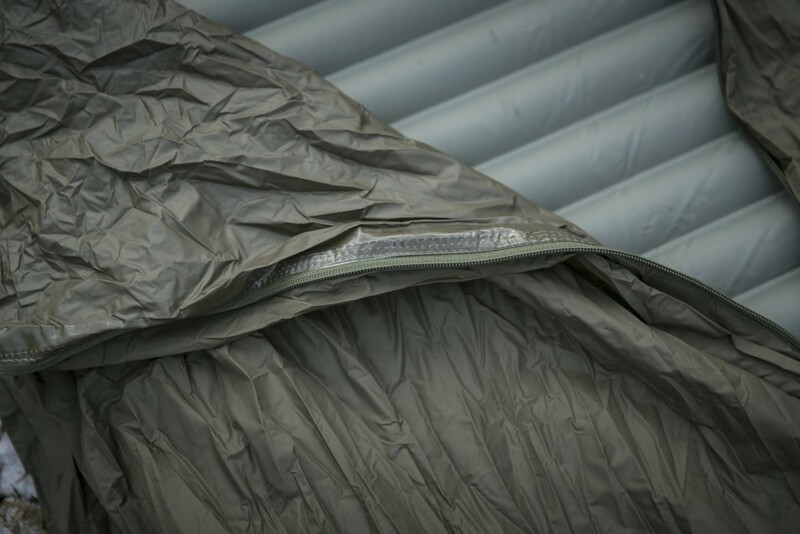 The inner fabric, Paratex Light, shares the same properties as its big brother Steelplate, and is very light and also wicks moisture away from the source. The filling uses Softie® Premier. 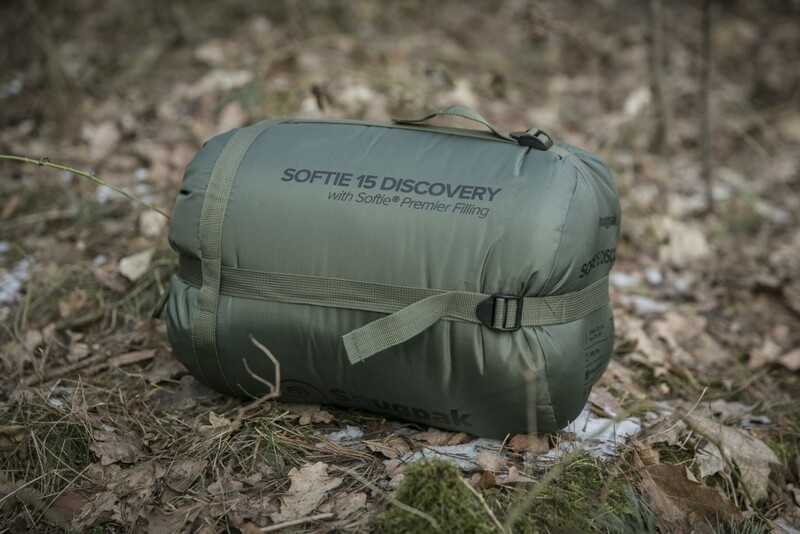 This Softie® insulation, rich in tradition, is reflected in the name of the sleeping bag, and is exclusive to Snugpak. Softie® Premier has the special property that it retains heat even when wet. This is probably the most important advantage over classic down filling, besides being geese-friendly of course. Also, Softie® is durable, washable and has a natural soft touch. Randomised fine filaments create extra voids and loft to trap more warm air whilst keeping the same weight as standard insulation. In my test, the temperature only dropped to -8/-9°C but I could, in my cotton underwear, clearly feel the quality of the insulation. (I didn’t wear the jacket in the photos at night in the sleeping bag.) 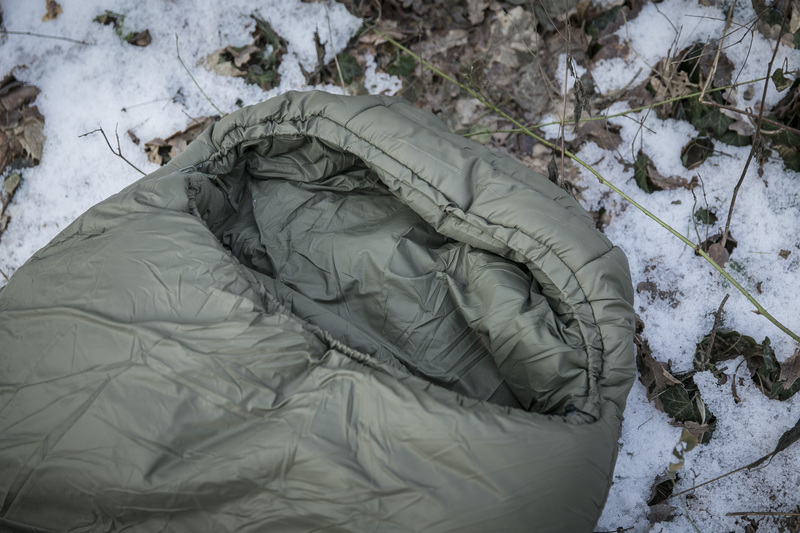 The lining feels soft and comfortable on the skin, and–I would never have thought this though I’d spend countless nights of my life in sleeping bags–it was really great to lie in. With the fluffy insulation it was like I was in my own warm comfy bed at home. 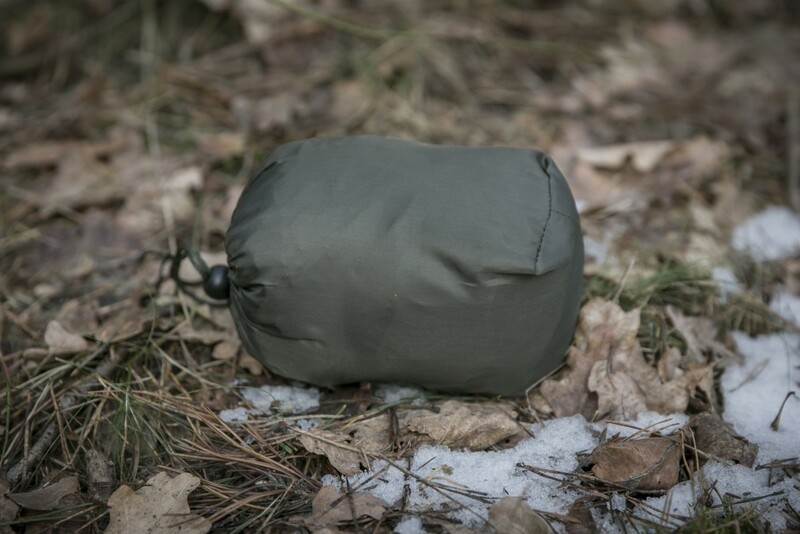 I tested the Softie 15 together with the Special Forces Bivvi Bag from Snugpak, because in cold nights, you always need adequate protection from the wind and damp. 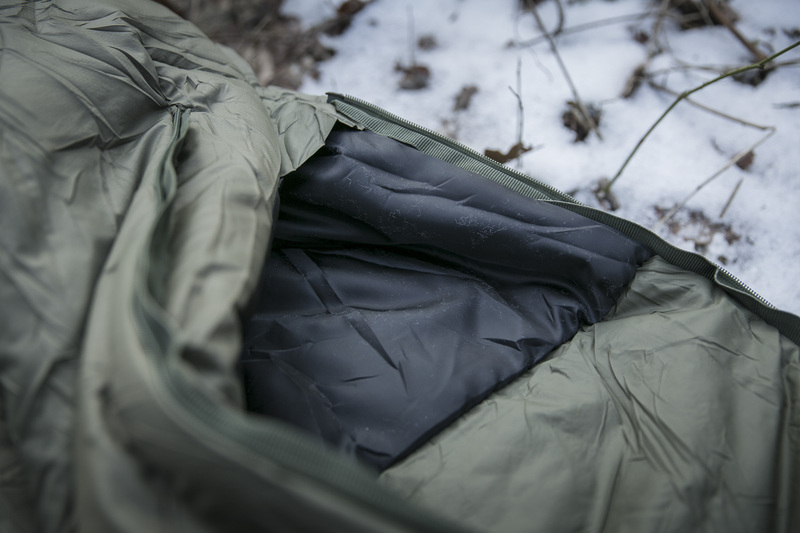 The Bivvi Bag, weighing only 340g, is 100% waterproof and breathable and is designed to deflect the wind. A zipper on the top opens the Bivvi to the middle, making it easier to get in and out. 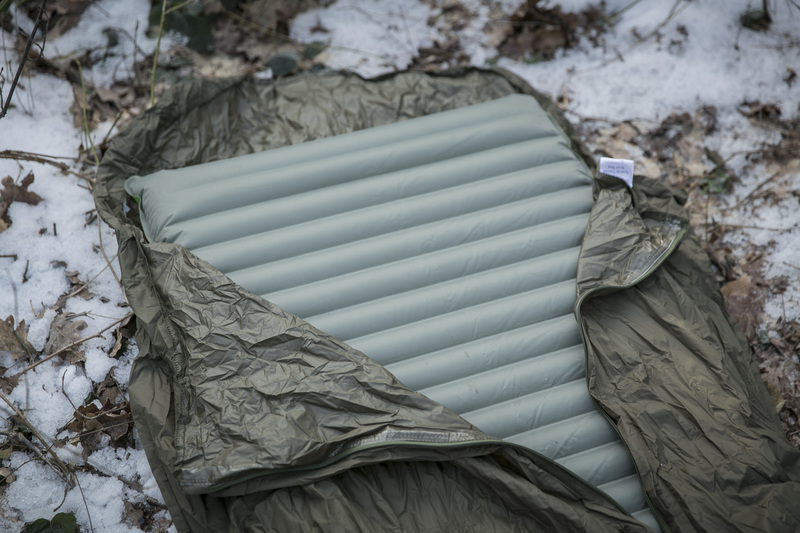 With its small pack size, not only is the Bivvi a suitable protective outer layer when sleeping outdoors both in summer and winter, it can also serves as an emergency shelter on hiking trips. 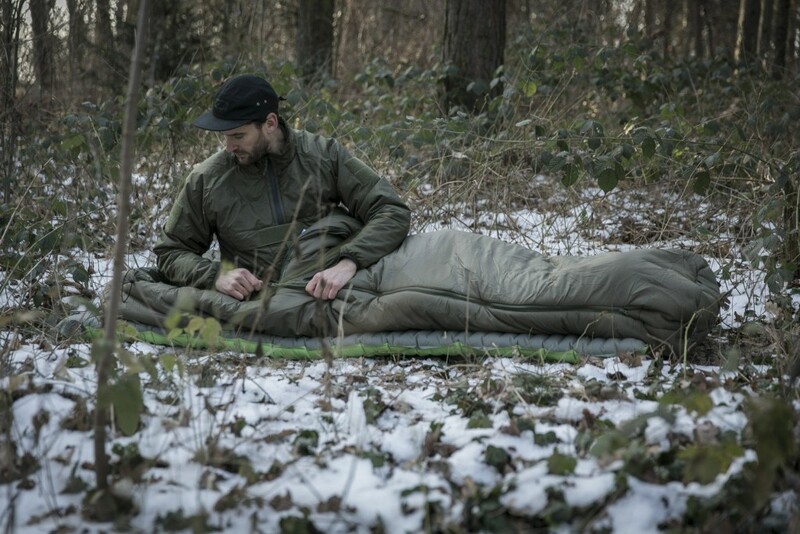 For my height of 189cm, the 220cm version of the Softie 15 sleeping bag was easily sufficient. It was even possible to fit the hood about my head using the adjustable cord without feeling cramped. Snugpak also offers an extra-long 265cm version and a Expanda Panel to expand the width of the sleeping bag. The Softie 15 has a typical mummy-style shape and measures 80cm wide at chest level, 60cm at knee level and 40cm at the feet. 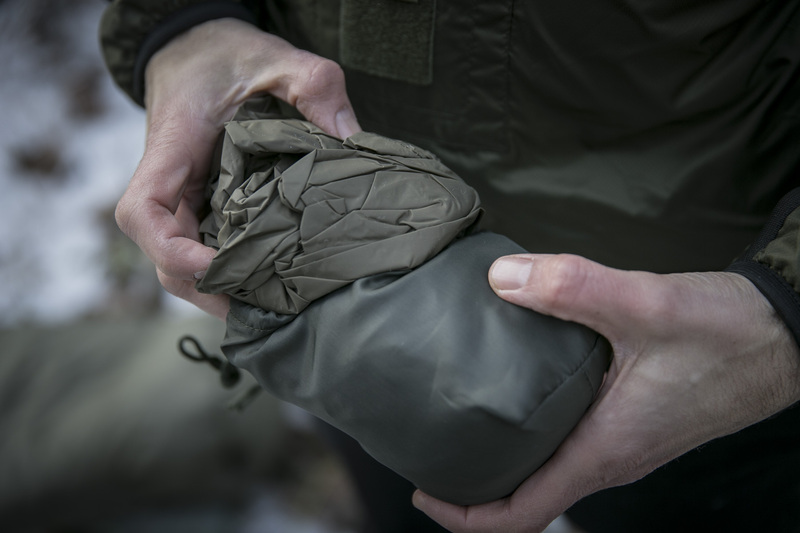 The area near the feet is even strengthened on the inside so you can leave your shoes or boots on without damaging the material. Also at the end are two loops which can be used, for example, for hanging the Softie up to air. 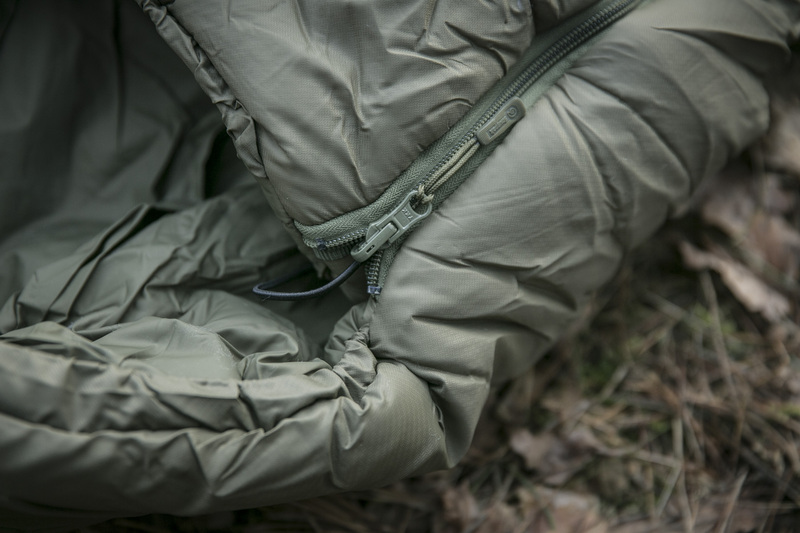 Another useful idea is the anti-snag zip with a full-length baffle to prevent the zipper from catching on the inner fabric. 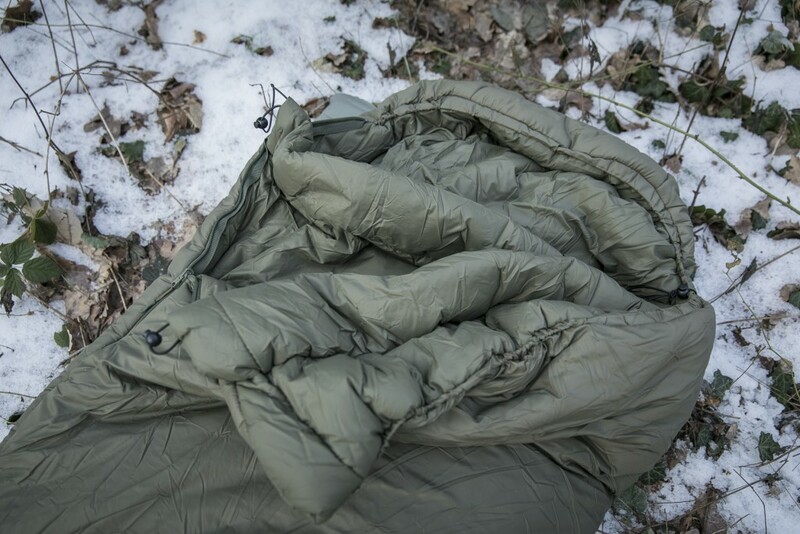 The Softie 15 Discovery from Snugpak is the idea winter sleeping bag. 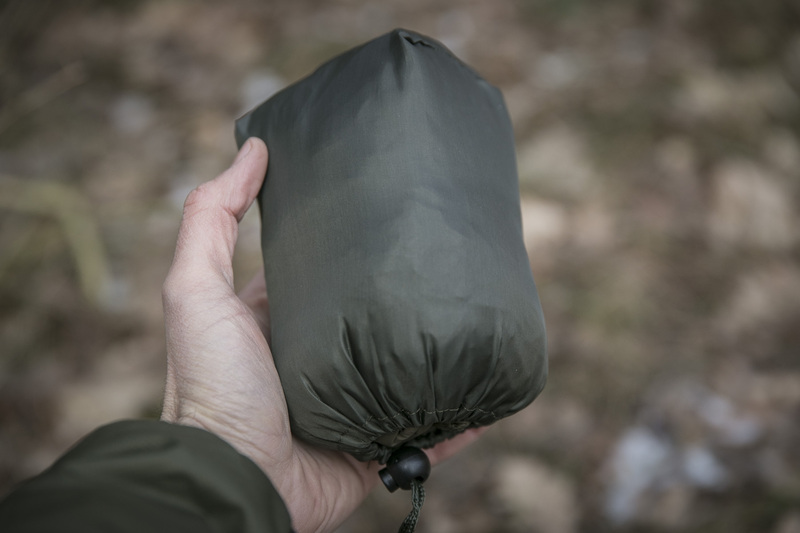 Considering its extremely good insulating properties, the Softie 15 has a very small pack size of only 28×23 cm (when fully compressed) and for a synthetic sleeping bag, offers a good balance between size and weight. The high-performance materials used complement each other wonderfully and show a high level of workmanship. 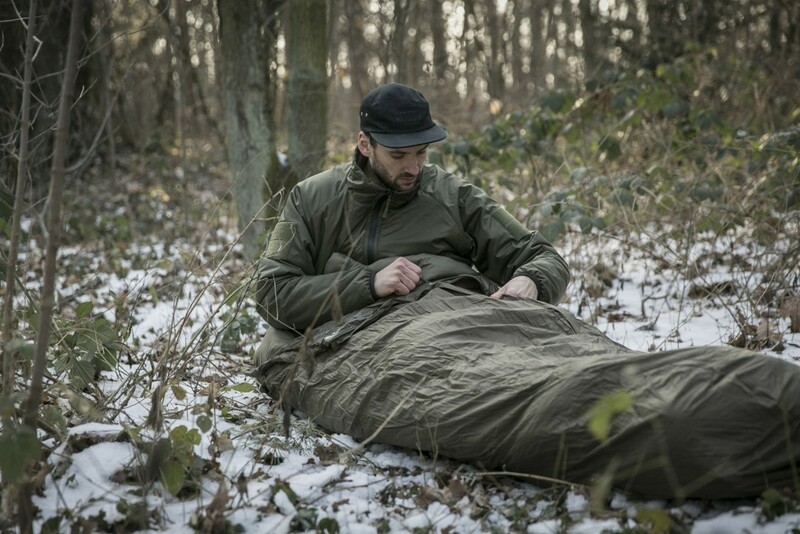 Anyone looking for a sleeping bag with synthetic filling for the -5°C to -15°C range can’t go wrong with this model. With the Softie 15 I’ve finally discovered the beauty of winter camping. 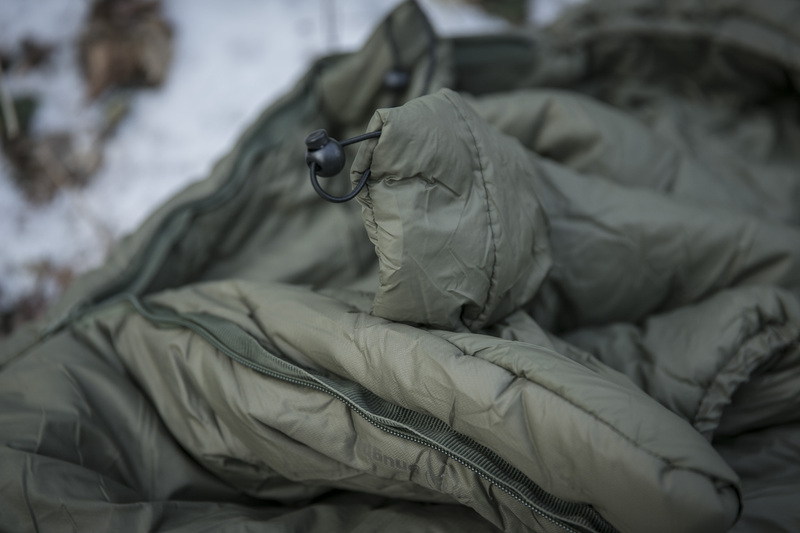 Now there’s no excuse that it’s too cold for overnight camping trips.